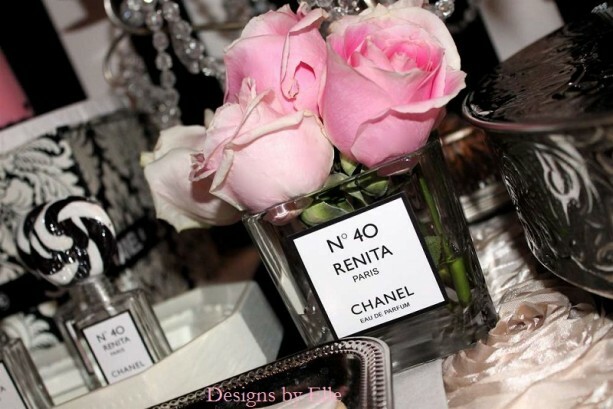 CoCo Chanel Inspired 2 inch x 2 inch Personalized Labels Stickers or Gift Tags Sold in Sets of 10 This listing if for a Custom Personalized 2 x 2 Coco Chanel Black and White square labels. 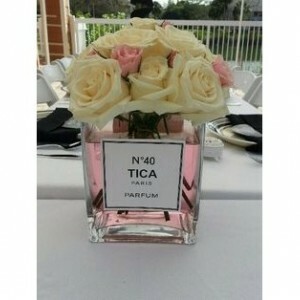 This item will make a GREAT addition to your Chanel Themed EVENT! Baby Shower, bridal showers, wedding shower, bridal shower, door prizes, family reunions. 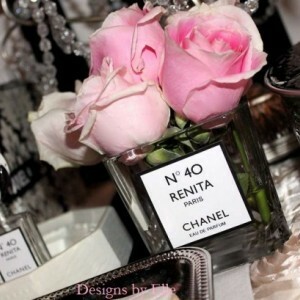 Chanel No can be changed to any number you would like. "Renita" can be changed to the name of your choice. Your order will include (10) labels/stickers Labels are peel and stick!! All you have to do is peel and stick to the object of your desire. CONTACT US: You can visit our storefront at www.simplyminttobe.com Email Simplyminttobe@gmail.com Message 951 267-2636 Facebook: Designs by Elle *********************************** SHIPPING ********************************** First Class via USPS COPYRIGHT NOTICE * All copyrights and trademarks of the character images used belong to their respective owners and are not being sold. This item is not a licensed product and I do not claim ownership over the characters used in my designs. This listing is for the time/effort used to create and personalize your item.